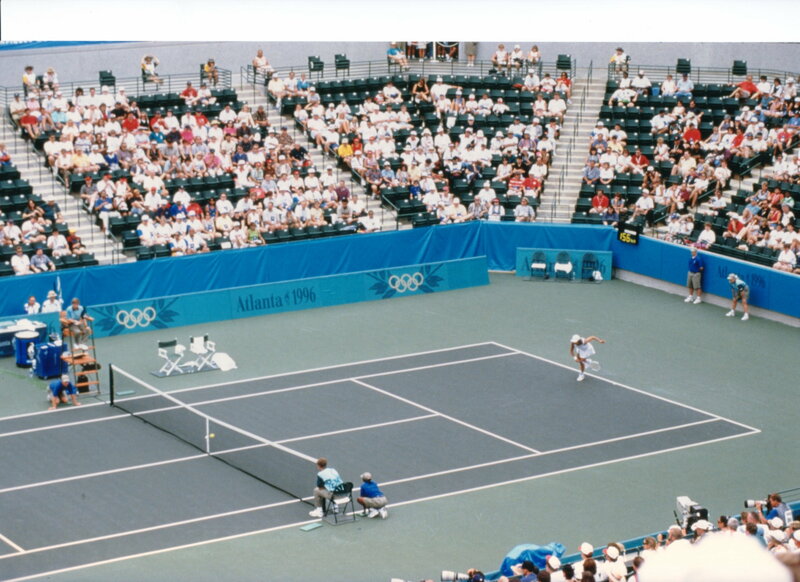 In honor of the Winter Olympics opening today, we thought we’d celebrate by counting down our favorite Olympic Tennis venues, since the sport was reintroduced in 1988. (Tennis had been dropped after the 1924 Games.) We compared venues on metrics such as max capacity, courts used, and whether or not the venue was still in use today. Check out which venue took home Gold below! Barcelona falls low on our list of Olympic Tennis venues, because they left eight of their 17 courts unused during the tournament. The USA tied host Spain at 3 medals each, with the US earning two Golds. Today, the facility is open and accessible to the public and a popular spot for Barcelona’s tennis community. The center court holds 3,500 while the whole venue has a capacity of 10,000. Team USA took home the most medals in the tennis event, winning 2 Gold, 1 Silver, and 2 Bronze. They were followed by Czechoslovakia with 3. Today, the Tennis Center continues to host the Korea Open, as well as some of South Korea’s Davis and Fed Cup matches. 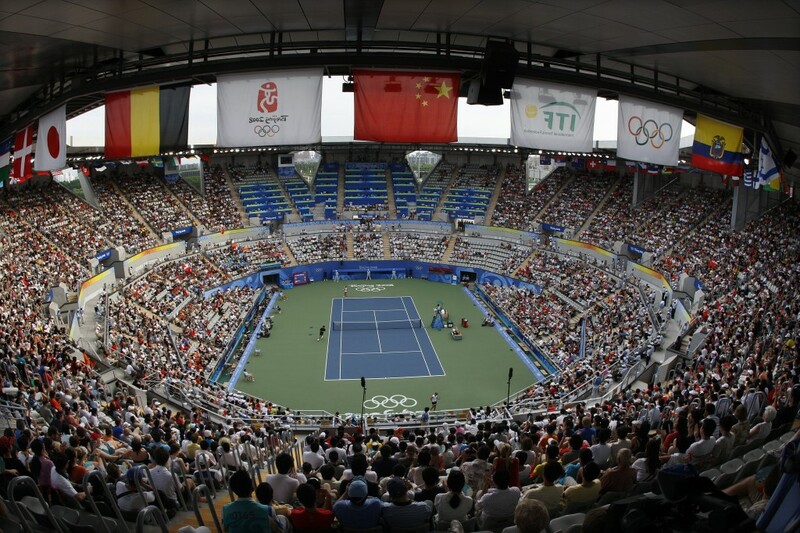 The venue hosted both Olympics and Paralympics tennis events that year and beats out Seoul for max capacity at 12,000. It boasts a 7,200 seat center court in addition to 15 other courts. USA tops the medal chart for the third Olympics straight and ties Spain in medal count for the second. However all of USA medals were gold. Unfortunately, the facility has since fallen into disrepair and was closed in 2007, but there are plans to try to restore it. The Centre housed 16 courts with combined max capacity of upwards of 15,000 people. The center court was to hold 8,600 spectators however only 6,000 of those seats were sold to the public which drops it a little further down our list. For the first time since the Olympics re-introduced Tennis, the USA did not top the medal count, leaving with only a single silver medal won by Mardy Fish. 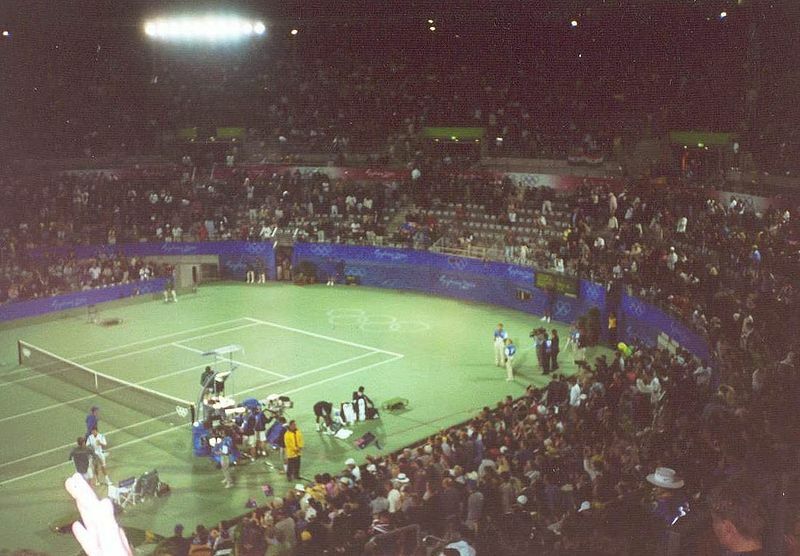 At the time of the 2000 Sydney Olympics, green tennis courts were still popular at major events. The NSW Tennis Centre houses 16 courts in total, including 6 practice courts. The center court holds 10,000 people while two additional courts hold 4,000 and 2,000 people respectably. Venus Williams led the USA to the top of the leaderboard, winning two Gold medals- one in singles and another in doubles with her sister Serena. It lands high on our list because it is still used annually to host the AO series event, the Sydney International. 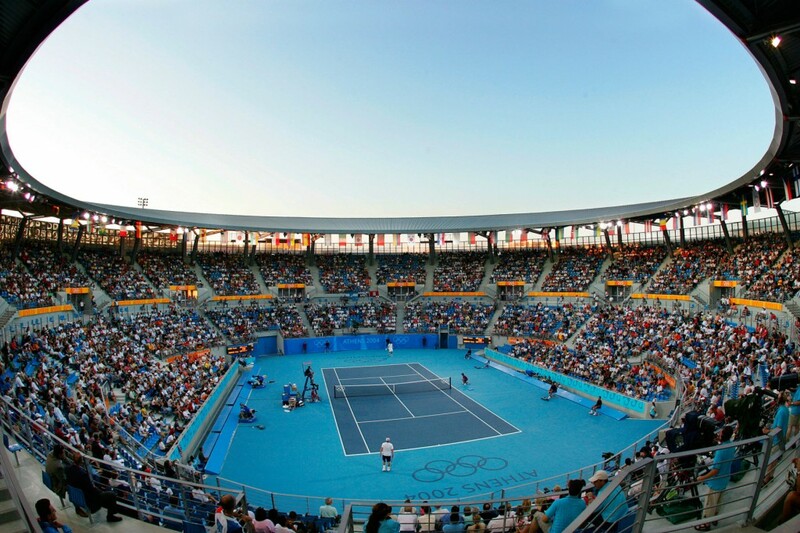 The Olympic Green Tennis Center held both the Olympic and Paralympic events in 2008. The venue was built to house a max capacity of 32,400 with 15,000 of those stemming from the Diamond Court alone. It truly stands above and beyond the rest in regards to Olympic Tennis venues that were created for the event. Three of the 16 court venues were created to look like a lotus, the symbol for the Beijing Games. Russia topped the medal board, sweeping women’s singles, but a record eight countries earned medals, with four countries winning each of the four Golds. Once again, Serena and Venus Williams won the women’s doubles. 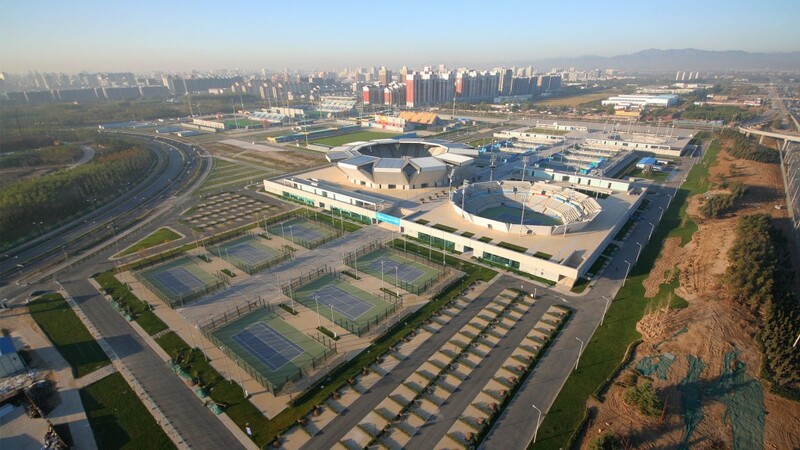 Immediately following the games in 2009, the China Open relocated to the Center which was then renamed the National Tennis Center. Although here at CSS we are quite partial to acrylic court surfaces, we can’t deny that the All England Club is the ideal venue to host the Olympic Tennis events. It embodies the Olympic ideal of “Blending sport with culture”. There is nothing more iconic in the world of tennis today than Wimbledon. 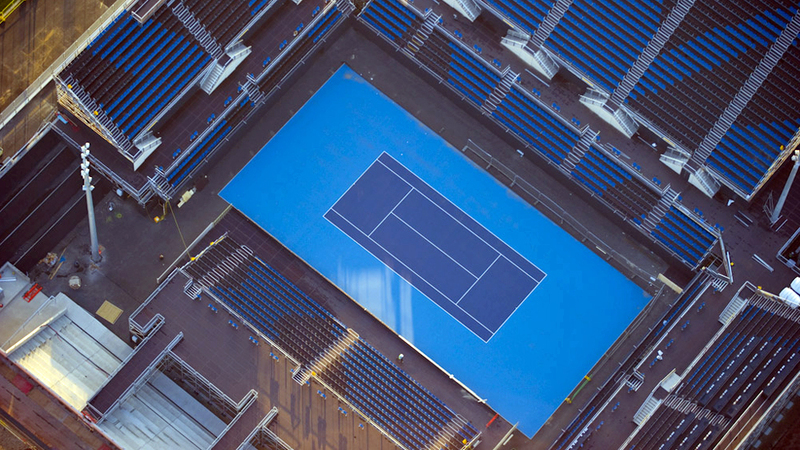 In addition to Wimbledon, the Paralympics were held at a new venue called Eton Manor, which housed 13 DecoTurf® acrylic courts. Today, Eton Manor has been renamed the Lee Valley Hockey and Tennis Centre and continues to host both tennis and wheelchair tennis events. We are very eager to see what 2016 brings to Olympic Tennis Venues. In the meantime our attention turns to Sochi. Good luck to all the athletes competing over the next few weeks as the 2014 Winter Olympics begin! To learn more about the surfaces featured in the article please visit DecoTurf.com, Plexipave.com, or ReboundAce.com.au.